15,000 books for adults and children, DVDs, CDs, VHS. 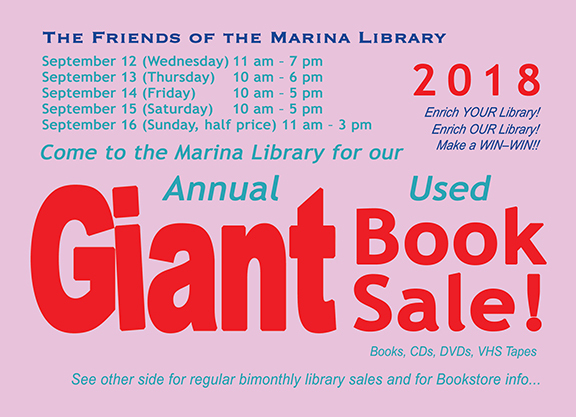 Biggest book sale on the Monterey Peninsula. Books in front, inside, and in back of the Marina Library.